In August 2017, there are 14,955 low-income child care subsidy slots available in Connecticut, which is 8,002 fewer than last year in August 2016. As it is evident, losses were felt across the state due to the rapid decrease of the number of available child care slots. This means 8,002 fewer children are being served through the Care4Kids child care subsidy for low-income working families. Use this interactive map to investigate how many Care4Kids slots were lost in your town and statewide. As the rapid decrease in Care4Kids slots for low-income children in Connecticut is down 8,002 slots from August 2016 to August 2017 in one year, the program still remains in crisis. In August 2017 there are 14,955 low-income child care subsidy slots, when there should be 20,957. Due to changes to the Child Care Development Block Grant (CCDBG) in August 2016, the program closed to all new enrollees. This is with the exception to TANF families, who are still eligible and able to enroll. As children continue to age out of the program, low-income child care slots continue to drop. Since, August 2016 with no enrollments for the Care4Kids, the problem continues to worsen. Click here to read more about what caused the Care4Kids crisis. Examining these losses between August 2016 and August 2017 provides a comprehensive overview of exactly how many losses are at stake with no new enrollments occurring. August 2017 is the highest loss of child care slots to children and families that the Connecticut Association for Human Services has seen. Between June 2016 and June 2017, Connecticut lost more than 5,700 low-income child care slots. This hiked between July 2016 to July 2017 to a loss of 7,400 slots. 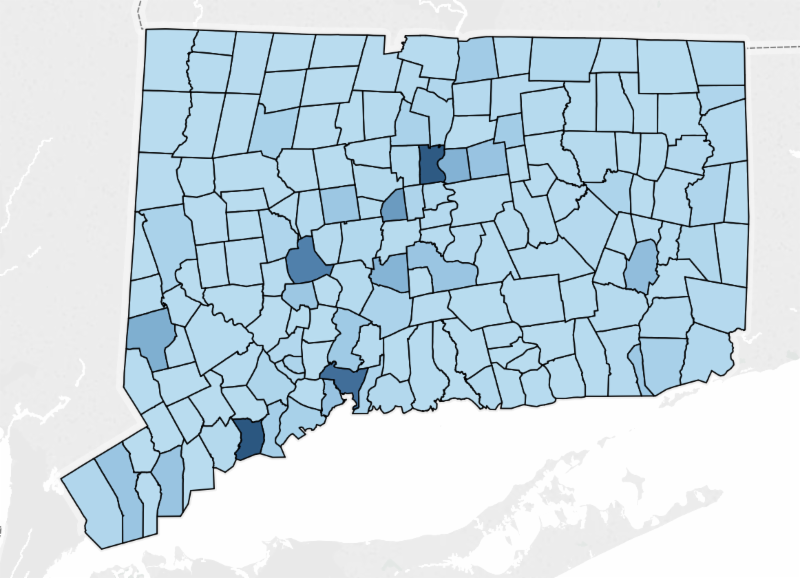 Since June 2017, Connecticut has seen a rapid loss of more than 2,300 child care subsidy slots. From August 2016 to August 2017 the largest section of child care slots lost were of infants and toddlers, compared to preschool and school age slots lost.